Listen to our exclusive interview with ESA astronaut Tim Peake! Posted on 17th September 2018 | by Rachael Tapping | Leave a Comment on Listen to our exclusive interview with ESA astronaut Tim Peake! How lucky are we to get not one, but two interviews with ESA astronaut Tim Peake!!!!! Our editor Tammy chatted to Tim on the phone, asking him lots of probing questions from curious Whizz Pop Bang readers (see the list of questions below). What did it feel like taking off in a rocket? Do your ears pop during take-off like they do on a plane? How long does it take to get into space? How long does it take to actually get to the space station? Do you have to stay put in the capsule for the whole journey? And what happens if you need the loo? What’s it like seeing Earth from space? Does seeing Earth make you feel differently about the fragility of the environment? What was your scariest moment in space? Is it cold on a spacewalk? Why does the Soyuz craft look so black and battered now? Did it hurt when you landed? What was it like coming back to Earth? What do you miss most when you’re in space? Where would you most like to travel to in space? Do you think flights to Mars will ever happen? Do you think we will ever find extra-terrestrial life? What advice do you have for budding space scientists? Photo and video credits Tim Peake, NASA, ESA, Victor Zelentsov and Scott Kelly. Who was Stephen Hawking, and why was he famous? As budding scientists themselves, your children are bound to ask questions about the man in the wheelchair with the strange voice. And rightly so, for this is a man to be talked about and remembered for so many ground-breaking discoveries in science. On the way to school yesterday morning, as we heard the news of Stephen Hawking’s death, my children asked why he died. This is a perfectly reasonable question, and one I answered with suggestions as I didn’t know exactly why he had died. We listened to the news reader and tried to make sense of a man who defied the doctors’ words and went on to live for an ‘extra’ 53 years. “Although there was a cloud hanging over my future, I found, to my surprise, that I was enjoying life in the present more than before. I began to make progress with my research,” Stephen said. Alok Jha explains why black holes are doomed to shrink into nothingness then explode with the energy of a million nuclear bombs, and rewinds to the big bang and the origin of the universe. From The Guardian. Stephen Hawking is a British theoretical physicist, he was born on January the 8th, 1942. Hawking has made many important contributions to the fields of cosmology and quantum gravity. He is also well known for his bestselling book ‘A Brief History of Time’. 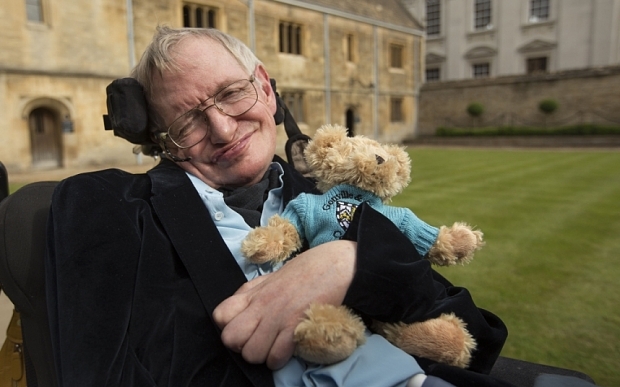 Helped by the success of his book ‘A Brief History of Time’, Hawking has released other books aimed at making his work accessible to a wide range of people, these include ‘The Universe in a Nutshell’, ‘A Briefer History of Time’ and ‘George’s Secret Key to the Universe’, a children’s book with a strong focus on science. Hawking has worked extensively on the subject of black holes, providing theories for their behaviour, including the idea that they emit radiation. Hawking suffers from amyotrophic lateral sclerosis, a type of motor neuron disease that has left him almost completely paralysed. Some of the awards Hawking has received for his work include the 1979 Albert Einstein Medal, the Order of the British Empire (Commander) in 1982 and the 1988 Wolf Prize in Physics. What was it like having Stephen Hawking as your Dad? Lucy Hawking describes the moment her famous scientist father, Doctor Stephen Hawking, was asked by a child – what happens if you fall into a black hole? “As a child you could ask any question you wanted – and get a reply,” she said. George’s pet pig breaks through the fence into the garden next door – introducing him to his new neighbours: the scientist, Eric, his daughter, Annie, and a super-intelligent computer called Cosmos. And from that moment George’s life will never be the same again, for Cosmos can open a portal to any point in outer space . . .
On persistence: “However difficult life may seem, there is always something you can do and succeed at. It matters that you don’t just give up.” – at an Oxford University Union speech in 2016. On curiosity: “So remember, look at the stars and not at your feet.” – at the Sydney Opera House in 2015. On space: “May you keep flying like superman in microgravity.” – to NASA astronauts in 2014. ‘Look up at the stars and not down at your feet. However difficult life may seem, there is always something you can do and succeed at.’ Stephen Hawking’s words are an inspiration to us all regardless of our age, abilities or dreams. Whether you’re age eight or 108 there’s something really exhilarating about making paper rockets and imagining you can really zoom off into space! Which is why we’re over-the-moon happy to announce we have FIVE Space Racer kits to give away for our November online competition, to link in with the November issue of Whizz Pop Bang science magazine Planetary Adventures. 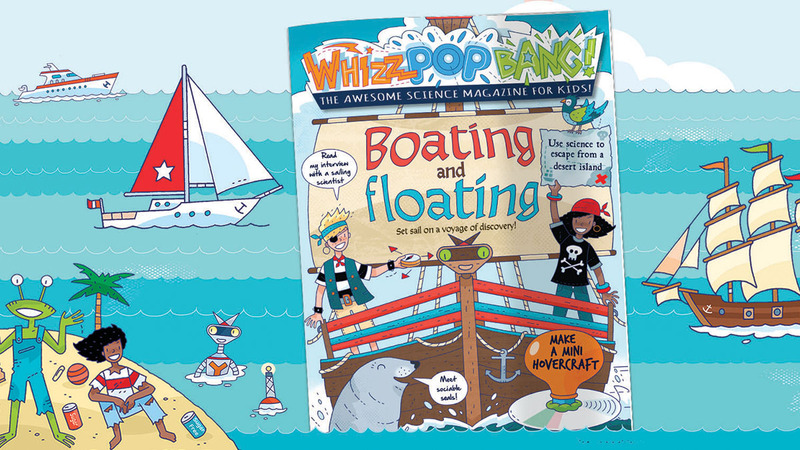 To enter this competition we’d like to know what you love most about Whizz Pop Bang magazine. Send in a photo or video of you with your favourite issue, telling us which pages you read first, or which experiment is the best or who you do your experiments with in your family and why it’s so much fun. 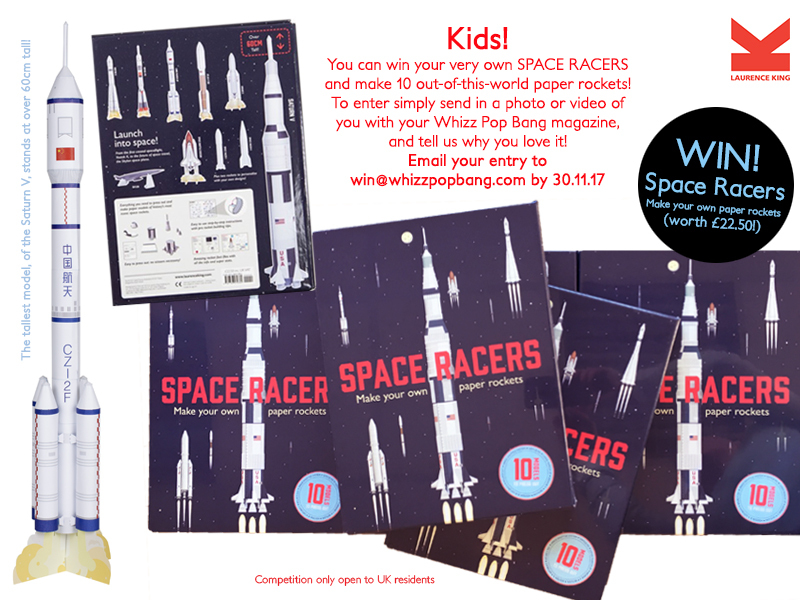 Email your entry to win@whizzpopbang.com with SPACE RACERS in the subject box by 12pm GMT on 30th November 2017. 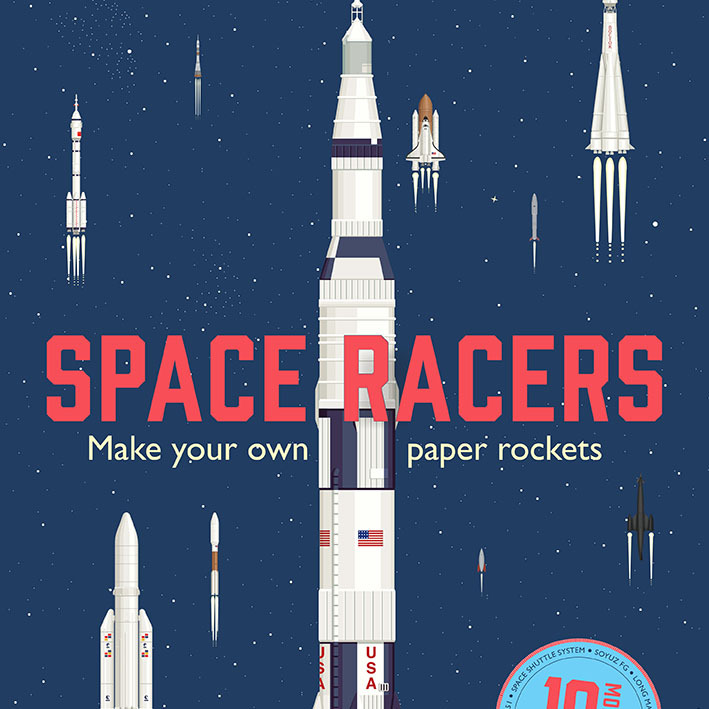 Space Racers contains everything you need to press out and make your own paper rocket models. From the rocket that made the first manned space flight, Vostok K, to the future of space travel, the Skylon space plane. Use the easy to use, step-by-step instructions to build eight historically accurate rockets and two imaginary rockets, which are left blank for your own designs. A separate booklet introduces you to the exhilarating world of rocket science and space exploration, and includes fun and detailed fact files for each rocket. Published By Laurence King, priced £22.50. Space Racers Make Your Own Paper Rockets is written by the hugely talented Whizz Pop Bang science writer, Isabel Thomas.